The Common Linnets #2 on Eurovision Song Festival! 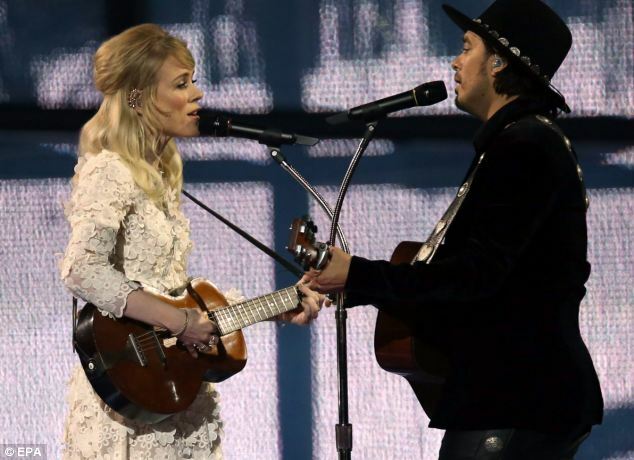 The Common Linnets, the Dutch entry in the Eurovision Song Festival, made it to second place on Saturday May 10 in Copenhagen. Congrats Ilse and Waylon, you rock! Writing brought Ilse and Waylon to the epicenter of Country music, Nashville, where both Ilse and Waylon feel very much at home. American songwriters Rob Crosby, Matthew Crosby and Jake Etheridge soon came on board, after which Dutch singer-songwriter Daniel Lohues and Dutch producer JB Meijers rounded out the team. The album consists of thirteen emotional songs that deal with hurt and misfortune, but also with hope, comfort and love. In their purity and sincerity, expressed in heavenly harmonies. The Common Linnets represented the Netherlands at the Eurovision Song Contest this year with the song "Calm After The Storm". Their performance of the song catapulted them to the top of the download charts in Europe and second place in the public vote. Apart from taking the number 1 spot in the Dutch charts, the song gained popularity in various European countries like Sweden, Estonia, Norway among others, selling 10.000 copies in the process.